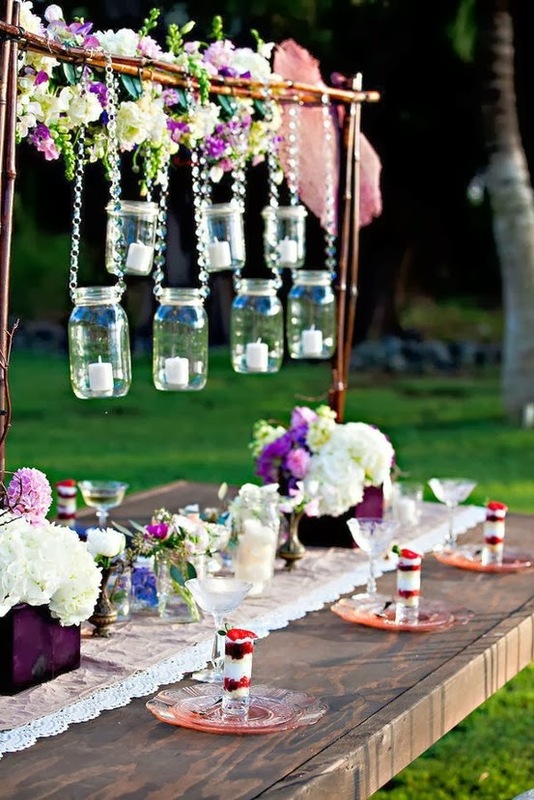 If you have chosen an intimate small outdoor wedding you probably have a sentimental reason for doing so. It could however be due to budget concerns. Which ever or if both are your reasons it is a lovely way to go and you can make it your perfect wedding day. 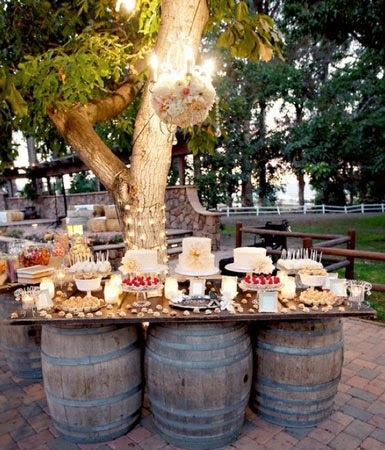 The location of your wedding might be a vineyard, park, beach, or a garden or backyard of a family member or friend. If you plan a simple wedding outside with a small guest list that in itself will help to keep you within your desired budget. 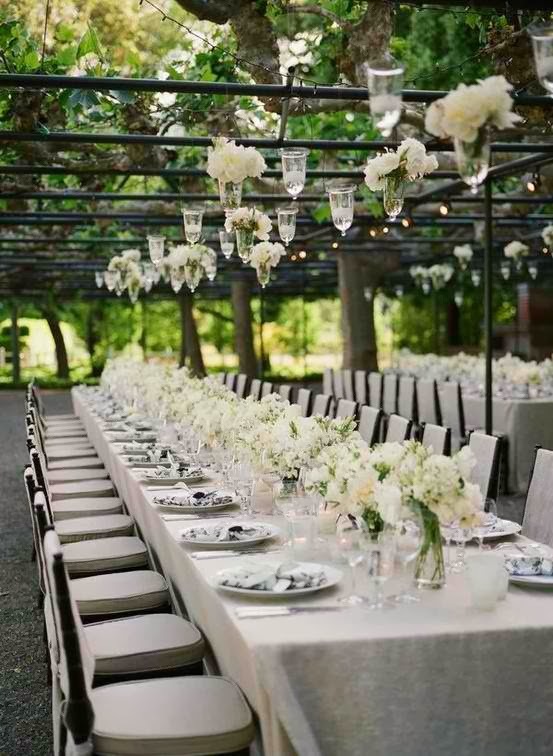 Your small outdoor wedding lets guests feel more intimately connected to the two of you during the ceremony and reception. This kind of wedding will offer you the choice of saving money in one place and indulging in another. You get to choose where to spend and where to save. 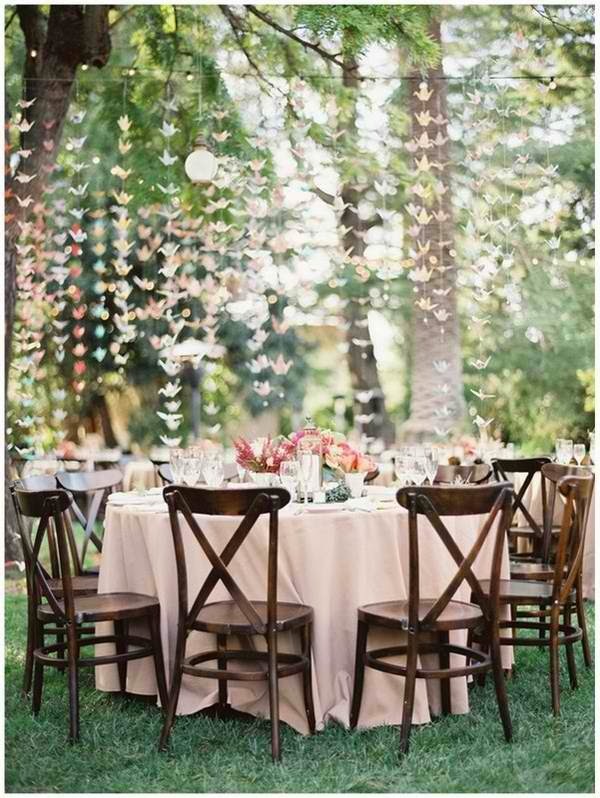 As you plan your wedding theme and/or colors the outdoors usually requires fewer decorations. Nature has provided a lot of your decorations for you. If you find a place you want with a pond or small waterfall take advantage of this by all means. There is always something magical and romantic about that. For the ceremony, guest chairs tied with a simple, but lovely bow and a wedding arch decorated with flowers or greenery, and a color theme aisle runner will do the job. Wedding Centerpieces of wild or seasonal flowers and pretty tablecloths and napkins in theme colors will set the mood quite nicely at the reception. Your choice of wedding favors to say "thank you" for coming might be small boxes of candy, packets of seeds in a small pot for them to take home and plant, or a small picture frame for them to place a picture of a wedding day remembrance. As it is a small guest list do not overwhelm them with large, overcrowded decorations. 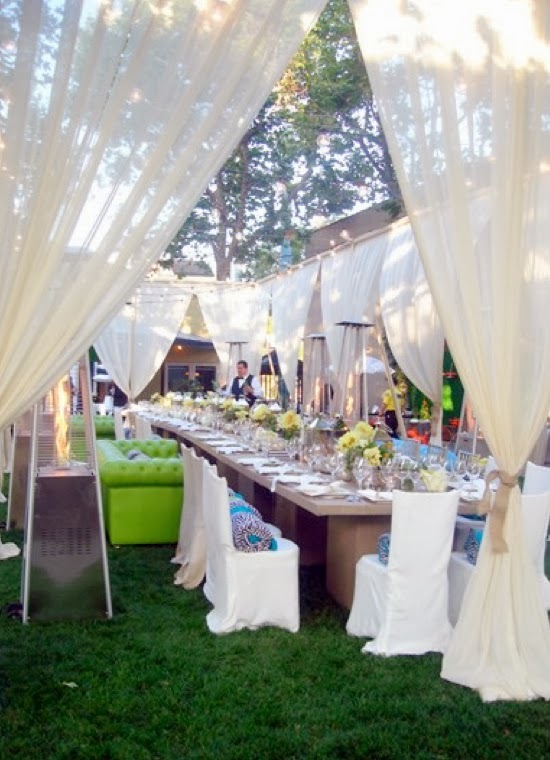 Be sure there is room for your guest to mingle, and be a part of all the wedding festivities. 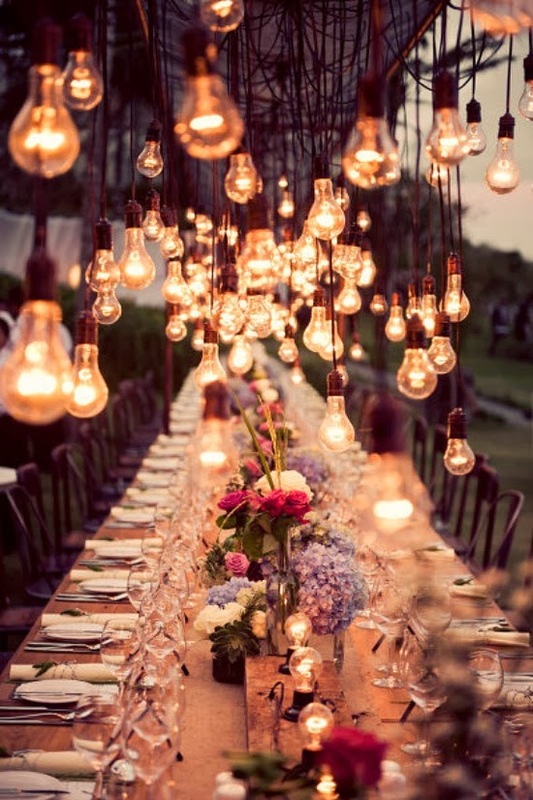 Outdoor locations make it harder to serve elaborate dinners. You should consider the foods that will be tasty, but not have to be served piping hot or icy cold. If a climate controlled tent rental is within your wedding budget it is a good way to ensure that food stays safe and fresh for the guests. A nice way to go if the food budget allows is to have a finger food and wine reception with servers wandering among the guests offering delicious hors devours, desserts and glasses of red wine, white wine or a non alcoholic beverage. 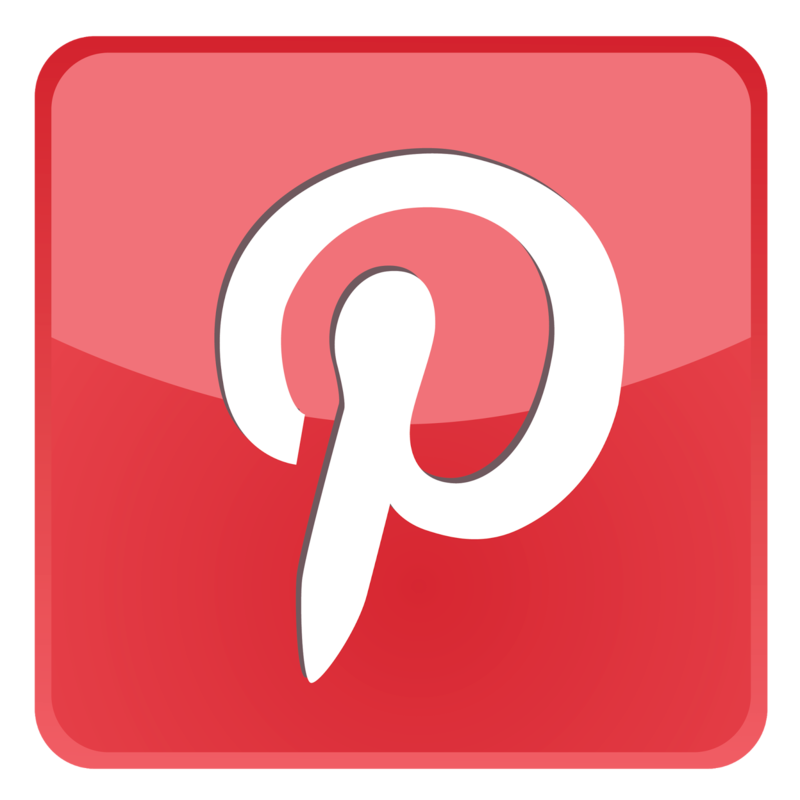 At a smaller wedding, guests choose to chat and mingle more then dance, but depending on the guests and the mood you might set up a small dance area and play dance music and other types of music alternately. You might have a DJ with his set up, or maybe friends who are musicians will gladly want to play at your party. When you have a small outdoor wedding it allows the two of you to host the wedding of your dreams, whatever your budget. 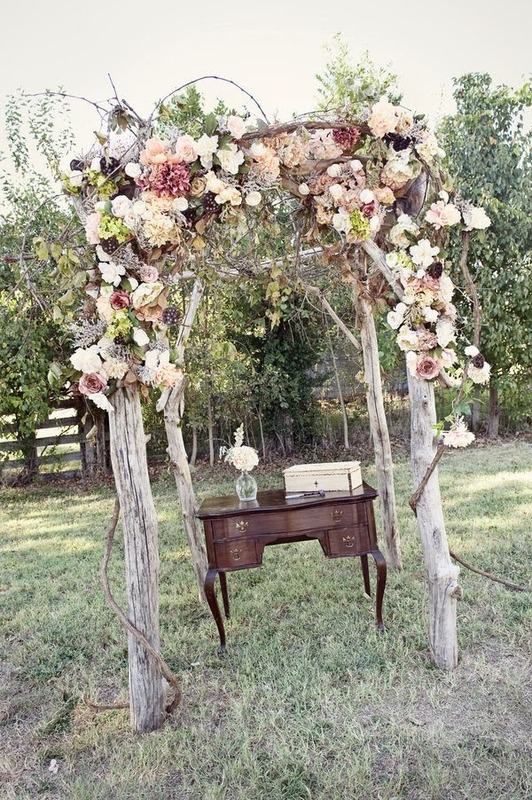 These outdoor wedding ideas will help to make your dreams come true.